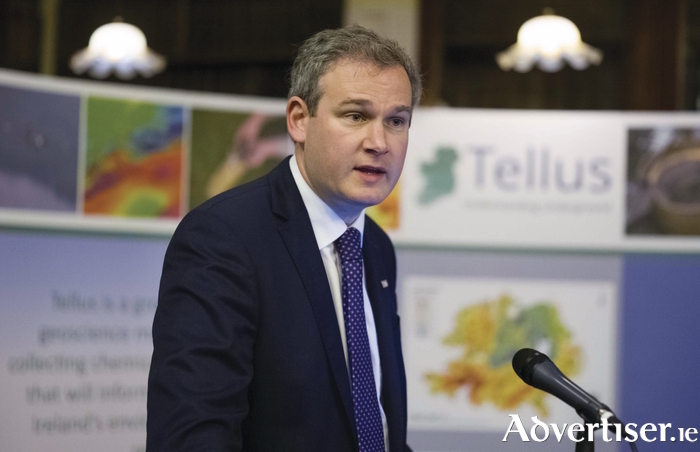 Minister for Gaeltacht Affairs and Natural Resources, and Galway West TD Seán Kyne. Work has begun on the long awaited Oughterard Wastewater Treatment Plant, with the official 'turning of the sod' carried out this morning by the Minister for Gaeltacht Affairs and Natural Resources, Seán Kyne. Following the public tender process, Glan Auga, a company with a base in Loughrea, will be carrying out the works on behalf of Irish Water. The construction of the Plant is estimated to be complete within 12 months, after which Oughterard will join Clifden, Leenane, An Cheathru Rua, and Claregalway, from investment in water and wastewater services. Minister Kyne, who is also Galway West TD for Fine Gael, called the plant "hugely important". He said the €4.2 million investment by Irish Water would see "the construction of a new wastewater treatment plant with increased capacity to cater for the growing population". He also said the facility would help improve water quality in the Owenriff River and Lough Corrib, "which is vital for a safe, high-quality water supply for residents, businesses and visitors to the area".